How to start writing HTML5 documents? The above syntax differentiate the HTML5 and older version of HTML4. Still their is no single browser who support all functionality of HTML5 because HTML5 not have official standard. The all new releases of (chrome, firefox, IE, safari) continue to add new HTML5 features. 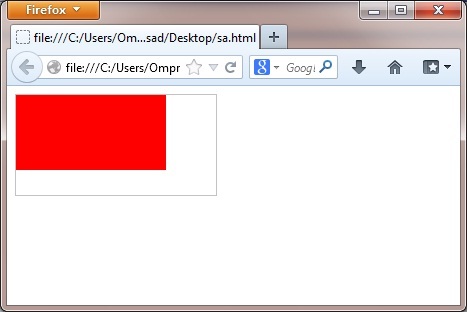 you can add multiple <canvas> elements on one web page. Browser not support canvas html5 tag. You can draw line using stroke() method,circle using arc() method on a canvas.The strokeText() and fillText() function for drawing text on canvas. drawImage() method is used to draw an image on canvas. <audio> element of HTML5 used to play music, sound and audio streams on web pages. All recent browsers support audio tag. 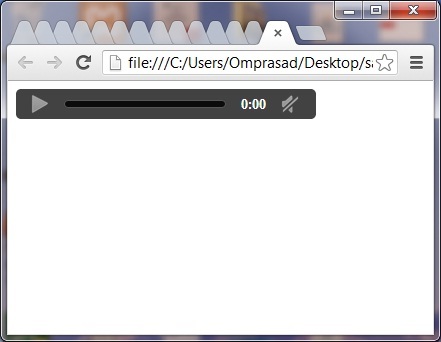 Browser does not support this audio format. 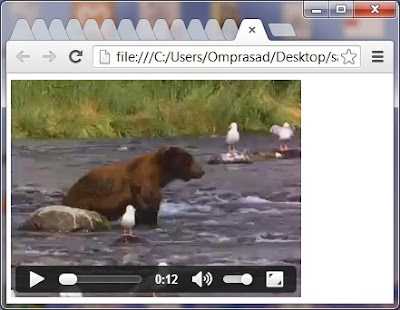 <video> element of HTML5 used to play movie clips and video streams. It's a very well explained and informative article.